The Action Aldridge NA LCS Playoffs Special! The time is finally here. After nine weeks of exciting matches (and even more surprising upsets), the NA LCS Spring Split playoffs are upon us, promising to bring with it an exciting weekend of ups and downs. The time is finally here. After nine weeks of exciting matches (and even more surprising upsets), the NA LCS Spring Split playoffs are upon us, promising to bring with it an exciting weekend of ups and downs. Six teams enter Saturday, some aiming to show that they still are the perennial top dogs of the LCS, and others looking to prove themselves as premier competitive teams in the Champions Series, while all are looking to finish as high as possible in the seeding before the Summer Split. Two teams in particular, Team Gravity (GV) and Team Liquid (TL), have higher stakes than the rest of the competitors in the tournament. Whereas Team Gravity looks to prove that they shouldn’t be taken lightly because of their older lineup, sporting two of the oldest players in the league, Saintvicious (27) and Cop (22), on their lineup. Team Liquid’s road to the tournament has been anything but smooth. After struggling throughout the split, and several roster changes at the AD Carry position, Team Liquid managed to pull out the 6 th place seed after defeating Team Dignitas for their final game and beating Team 8 in the tiebreaker for the final seed in the tournament. For teams Cloud9 (C9) and Team Impulse (TiP), this tournament is their chance to prove that they really are who they say they are. After many highs and lows during the spring split, and a disappointing finish at IEM Katowice, Cloud9 finished with a 3-0 run defeating such lauded teams as Counter Logic Gaming, Gravity (not so lauded, but still very good), and Team SoloMid (but who really thinks TSM tried to win that game). This tournament is Cloud9’s chance to show North America that they still belong in the top 3, and aren’t just another middle-of-the-pack team. Similarly, Team Impulse has had a split of surprising inconsistency. Although they had considerably the longest win streak of any team this split, their record is littered with confusing losses to bottom/middle-of-the-pack teams such as Winterfox, Team Dignitas, Team 8, and Team Liquid. Whether this is just blatant underestimation by TiP or some bigger problem we shall see. Last but not certainly not least, the biggest headline of the tournament, barring some huge (and I mean HUGE) upset, is the power struggle between Counter Logic Gaming (CLG) and Team SoloMid (TSM) for first place. Even though both teams ended the season on loss, TSM to Cloud9 and CLG to the same team (TSM’s “loss” setting CLG up for their loss, but more on that later), both teams are poised to make it to finals, especially TSM with their first round bye. Although we have already seen both teams duke it out on the rift plenty of times, look for their inevitable best of 5 series to be the most exciting games of the tournament. With so much information to be digested by those new and old to the rift, it’s only proper to have a breakdown of the upcoming playoff. This is quite obvious, but I felt like the subject needed to be examined in more detail. For the first half of the split, Team SoloMid had a simple strategy going into every game: Feed Bjergsen, protect Bjergsen, allow Bjergsen to make plays. While this worked against some of the weaker teams in the split, unless Lustboy or Santorin could provide constant protection and support for Bjergsen in lane (which after teams began banning Lustboy’s Annie was near impossible), Bjergsen could get to a good power spike but not good enough to secure wins against stronger teams on a consistent basis. Not denying Bjergsen’s godlike plays (some of which won TSM close games against CLG and C9), but after several close call against CLG and losses to teams such as TiP, Team 8 and Cloud 9, it was obvious that the team needed a change in strategy. Then along came IEM Katowice, a perfect setting for TSM to try new things, as getting knocked out of the tournament may lower them in power ranking’s but would not affect their place in the split. The new strategy was seemingly simple but a dynamic change: not only did they feed Bjergsen, but they got Santorin more involved, allowed Lustboy to be Lustboy, and (here’s the real kicker) they PROTECTED Dyrus. For all the flack that Dyrus gets from fans for sometimes feeding other teams, when Bjerg is essentially fed, Dyrus’s lane is the only other lane teams can pick on when TSM is in full throttle. However, with the new team oriented strategy, Dyrus has proven that he can be the playmaker he has said he was, especially on tanky or high damage champs such as Sion, Rumble, Maokai and Lulu. With the legendary Lustboy (not an over exaggeration, the man is the most dangerous support in North America, arguably the world) on support, it is rare for TSM to have to worry about protecting WildTurtle. Before, TSM was already a formidable opponent, but now this TSM shell will be a hard one to crack come this weekend (do I hear final boss-like status hear?). Keane’s Picks. Lae-Young “Keane” Jang is a rarity in LoL eSports. Not only does he have a diverse pool of champions, but he is not afraid to use them in competitive play! Most notable for his mid lane Urgot (which helped them net a win against TSM), he was also the first to play mid lane Rumble, Vladimir and Hecarim. Even though not all of these picks resulted in wins for Gravity, forcing the other team to waste picks and bans on these unorthodox champions allows Gravity to take their stronger picks and giving them a greater advantage going into the game. Hauntzer’s Wins Lane. Kevin “Hauntzer” Yarnell is the scariest top laner going into this tournament. That’s right, THE. While ZionSpartan is the best with Team Liquid’s Quas a close second, neither has the ability to turn a disadvantage into an advantage like Hauntzer. The last two weeks, we’ve seen Hauntzer win a 2 versus 1 fight on Hecarim and a 3 versus 1 fight on Rumble, both for first blood. After both plays, his team has fed off his energy and snowballed their way to victory. However, the biggest factor in these fights is that he was not behind in the lane when the initiations happened. If Hauntzer falls behind Impact in the top lane, these big plays become impossible. Bunny FuFuu. Really, there is not much to be said here about Micheal “Bunny FuFuu” Kurylo’s play. The kid is an animal. 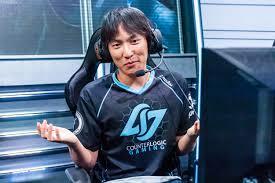 He makes more plays than the LCS announcers can puns. Given the other reasons why Gravity can win, he may be the only one they need. If TiP allow Bunny to pick Thresh, the odds will tip considerably in Gravity’s favor. A lot can be made about this Team Liquid squad. They’ve had games that dazzled the LCS fans. They’ve also had games that made people question why they are even in the Champions Series. For the most talked about team coming into season five, it’s an understatement to say that Liquid had a disappointing split. Especially after having brought in a former world champion, Chae “Piglet” Gwang-jin, only to have him benched midway through the split and have him brought back towards the end. Team Liquid’s main issue was one of comfortability. One thing that will be consistently true is when you have a world champion on your team, he will demand a world championship caliber of play. Also, he will expect his opinion to hold greater weight than others. This caused conflict for the team in-game, as having one player agree or disagree on certain plays while his other teammates aren’t in agreement can cause partial commitment to strategies on the rift and cause a normally great team to underperform. This is why TL played considerably better when they brought in Keith, the backup AD Carry. Keith wasn’t as demanding as Piglet and overall a better teammate, allowing the more vocal members (like Fenix and IWillDominate) to have an opinion and allowing the team to be 100% in agreement when a plan was formed. At the end of the season, the Team Liquid management decided to reinsert Piglet into the starting lineup. This change didn’t affect the team at all going down the stretch, due to Piglet adjusting to his team, conforming to the overall plan, and becoming a better teammate. This change in attitude allowed Liquid to begin playing to their potential, rallying toward the end of the split to play in a tiebreaker against Team 8 for the last spot in the playoffs, and win that spot. Now they must face Counter Logic Gaming, who must play out of the quarterfinals due to a loss in the tiebreaker against Cloud9, for a spot in the semifinals. However, Team Liquid has a better chance of winning this Bo5 than CLG. Piglet has really stepped up his play in the last weeks of the split, calling back to his days on SK Telecom. This has a lot to do with Xpecial, who has done an exceptional job of supporting Piglet’s sometimes extremely aggressive playstyle by providing the necessary engage and/or disengage depending on the team composition they are facing. Also, Quas is a significant part of Liquids impressive late split play. Considered one of the best top laners in the LCS, Diego “Quas” Ruiz has a unique ability for being able to hold, and sometimes even win lanes while being behind his opposing top laner. This helps IWillDominate, who despite having solid play in the mid and late game phase, has trouble staying ahead of his opposing jungler in the early game. However, the biggest reason Liquid can be expected to upset is due to Counter Logic Gaming itself. Even though CLG has a long history of dominance in the LCS, they also have a history of tilting terribly after losing close games or games they believe they should have won. This is significant as they have just come off two straight losses, one to Team Impulse, but the biggest loss to Cloud9, a tiebreaker for a BYE going into the playoffs. If CLG continues to tilt, Team Liuid could take advantage and sneak their way into the semis. In terms of inconsistency, Cloud9 has had the longest run of it. From losses to lower tier teams in the LCS to their embarrassing early exit at IEM Katowice, the Cloud9 organization and its fans have been asking the same question: What happened to the old Cloud9? The answer to that question is simple: nothing. But this is what is fundamentally wrong with the team as a whole. The hallmark of great teams in any sport is their ability to adapt when met with adversity. Cloud9 doesn’t seem to have gotten the memo. The team’s only issue is their refusal to change strategy. Given, they have attempted to pull out new champions to mix up their champion pool and confuse their opponent, but their tactic continues to be the same: Protect Hai, make sure Balls can survive top, and either make plays for Sneaky or allow him to make plays. This puts a lot of pressure on Meteos, because if he gets out jungled or is a non-factor during the match, the opposing team no longer must worry about Hai, Balls is a free source of kills and Sneaky must make more plays than he has to. Despite, knowing that other teams know this, Cloud9 continues to use the same strategy in hopes that different champions or Hai and Sneaky’s play will help them win the day. However, they have defeated TSM and CLG, two of the top teams in the NA LCS (CLG for the BYE in the semifinals). These wins don’t happen thought without major mistakes made by both teams (this also during the TSM days of “feed Bjergsen for the win”). Let’s face it, the only reason Cloud9 was put in that spot was due to TiP beating CLG. If CLG beats TiP, TSM puts 100% into beating Cloud9 to avoid a tiebreaker against Counter Logic. Also, it was advantageous for Cloud9 to play CLG for that BYE, as denying CLG the BYE would make their road to the playoff finals more difficult. My point is, if Cloud9 cannot find a new strategy to use in game, it isn’t a stretch to say that tiebreaker will be the only postseason win they get. All in all, this year’s spring split playoffs are going to be extremely interesting. If there is anything I’ve learned in my time as a fan of League of Legends, it’s that anything can happens on the Rift. For the six teams left, it’s all about consistency, performance, and who has the strongest fortitude when faced with adversity. As a once great wise man said: “Every dog has his day, and some dogs have two.” I know I’ll be glued to my computer screen for the next few days watching it all go down. I hope you join me too! You can head over to www.lolesports.com and watch all the action for every single match, NA and EU live. It will be exciting to watch who can claim the title of Number One and take home the North American LCS Spring Split Championship. *This article was started before, but not finished until after the Team Liquid vs. Counter Logic Gaming match on April 4th. This being known, the information, which is solely opinion, was not formulated due to observation of the match that took place on that date. So long and thanks for reading!